A Dallas abortion clinic is set to close Saturday following a court decision which upheld strict pro-life laws in the state. 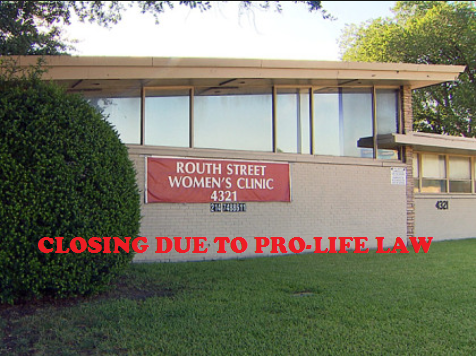 A representative of the Routh Street abortion facility which has legally killed children “for decades” told a caller to the clinic that the death mill will only be “serving” a few more patients before they close permanently this weekend. “State law closed us down- they passed a law Wednesday that we have to shut down. It went before the fifth circuit that if you are not a surgical center or doctor with hospital privileges we have to close down,” the woman who identified herself as a medical assistant and pathologist for the clinics said in the phone call. This week, a federal appeals court upheld Texas law HB2, which requires that abortion facilities comply with the minimum health and safety standards adopted by the State for ambulatory surgical centers, and that abortionists have admitting privileges in a local hospital near an abortion clinic. Enforcement of the Texas measure resulted in previously closing about half of the 41 clinics that had previously operated in the state. Reports indicate that after this court decision, Texas will be left with an estimated eight abortion clinics statewide. The Routh Street abortion staffer said the Dallas abortion clinic was performing Sonograms today under the state’s 24 hour waiting period requirement and that the abortion procedures they plan to perform Saturday would be for women who are already scheduled. She said they are referring abortion minded women to the National Abortion Federation but has no idea where they are sending them. 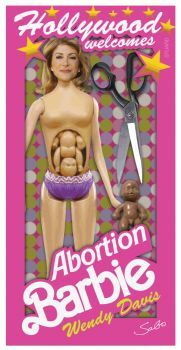 The abortion staffer, who said she had been employed there for seven years, was also asked what the oldest child they had ever aborted was and she said 17 weeks. Asked if it bothered her to see an aborted baby, the worker said she was pro-choice and it didn’t bother her that much. Abortion providers have vowed to take their case to the U.S. Supreme Court. “We will go up to the Supreme Court on an emergency basis,” said Whole Woman’s Health founder Amy Hagstrom Miller, the clinic whose Whole Women’s Health vs. Cole prompted the fifth circuit decision.